Building leadership and competency is a complex task, however, Barbara Heilemann has established a highly respected process and has created valuable tools to help coach individuals and teams, enabling them to reach their full potential. Barbara has created a suite of materials and programs that focuses on the strengths of the individual. These assist individuals and teams to recognise and apply their strengths. Barbara works with the internationally recognised Values in Action - VIA Character Strengths Survey. Barbara is also an accredited supplier of the UK Strengthscope® programs and materials. Strengthscope® is a work focused strength tool that enables individuals to optimise their performance. This involves not focusing on the perceived "weaknesses" of character, but instead concentrates on each individual's actualised strengths. By inviting an individual to identify their strengths, new conversations emerge for discussion and exploration. Strengths tools have several applications in addition to a better understanding of self and what an individual’s intrinsic motivations are. Appreciating your strengths helps with career selection and change, recrafting roles, job applications and interviews as well as appreciating the strengths of others to encourage optimal performance high quality connections in a team. At a simple level, they measure “what’s right about you”. Barbara has co-developed the Strengths Cards - a collection of cards that provide practical and concrete actions for individuals to apply to their working and personal lives. Convenient and powerful, this collection of cards provides practical direction and inspiration. Through application of the Strengths Cards, a user can identify how they can be best motivated at work and under what circumstances. 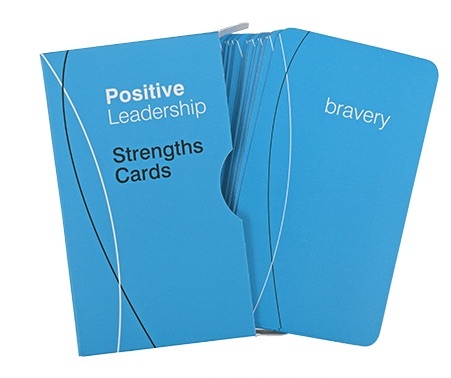 The Strengths Cards also provide advice on maintaining a healthy and positive outlook.